Check Out Our 6th Annual “Stuff the Mortars!” Open House and Fundraiser! 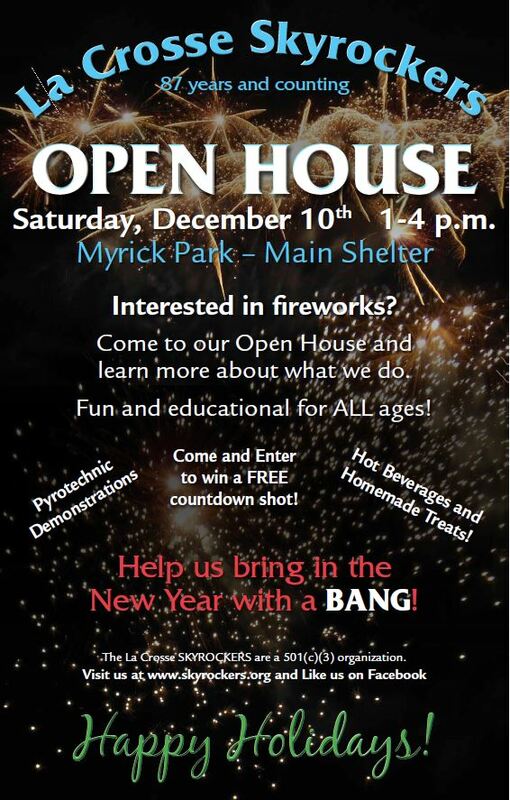 NOTE: The location of the Open House has been moved to the “Gun Club” shelter in Myrick Park, as the Ugly Sweater Run will be in the park that day as well. The poster was published before we knew of the change. Sorry for any confusion! This entry was posted in Public by Skyrockers Public Relations. Bookmark the permalink.